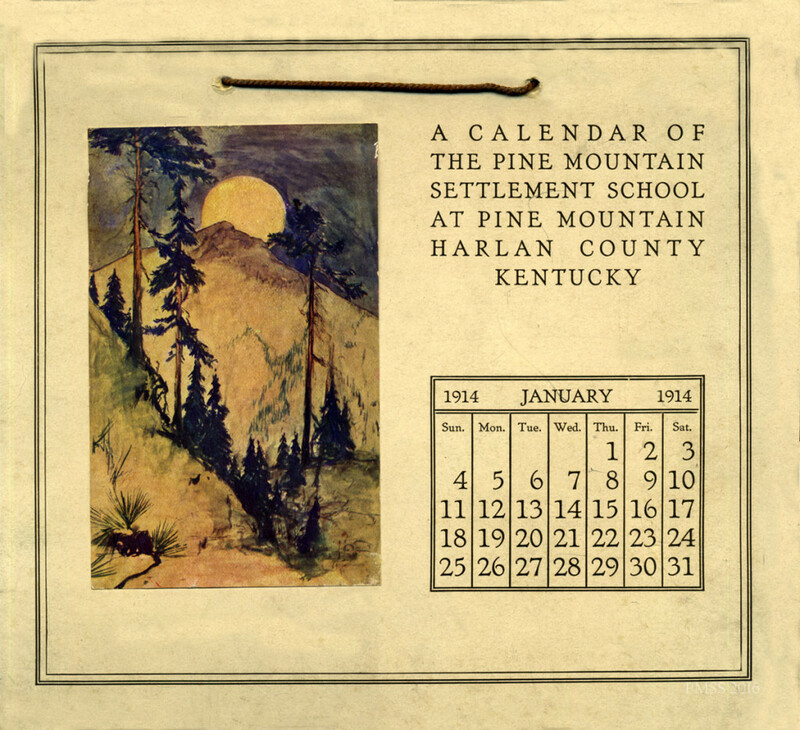 Among the many publications of Pine Mountain Settlement School is an array of calendars. The first calendar, published in 1914, was used as part of the fund-raising campaign of the institution. The idea was a simple one that bound the promise of the new school to a future measured by the march of time. It is not surprising that the sensitive Ethel de Long, co-director of the new settlement school would settle on this instrument of months and weeks and days to measure the School’s progress through time and to aim for its future. Today time is ever more compelling as new science digs deeply into time and asks us all to reflect on “what makes it tick?” Carlo Rovelli’s The Order of Time (2017), and James Gleick’s Time Travel (2016) , are two more authors among the many, who have taken on the challenge of exploring that most elusive and pervasive element of our existence … time. …we experience most immediately [and our mind] … is subject to the arrow of time. It creates memories as it goes. It models the world and continually compares these models with their predecessors. Whatever consciousness will turn out to be, it is not a moving flashlight illuminating successive slices of the four-dimensional space-time continuum. It is a dynamical system, occurring in time, evolving in time, able to absorb bits of information from the past and process them, and able as well to create anticipation for the future. Taken as a whole the calendars of Pine Mountain create memories of place and imaginations of futures. The calendars are arrows to past, and to future. And, most importantly, calendars capture in the now, a range of personal view-points as each calendar creator and viewer aims their own “arrow of time”.